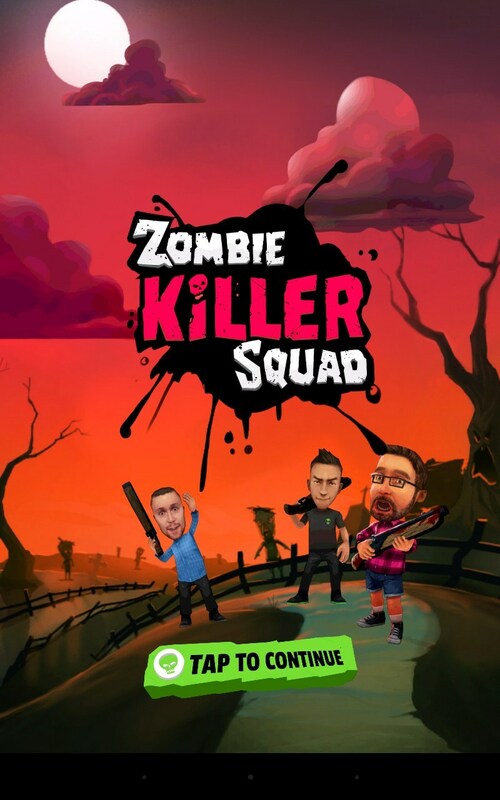 Zombie Killer Squad – Games for Android 2018 – Free download. 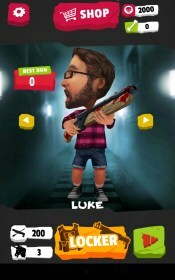 Zombie Killer Squad – Run away from a pack of zombies. Zombie Killer Squad - is another runner for Android in which you once again encounter a zombie apocalypse. 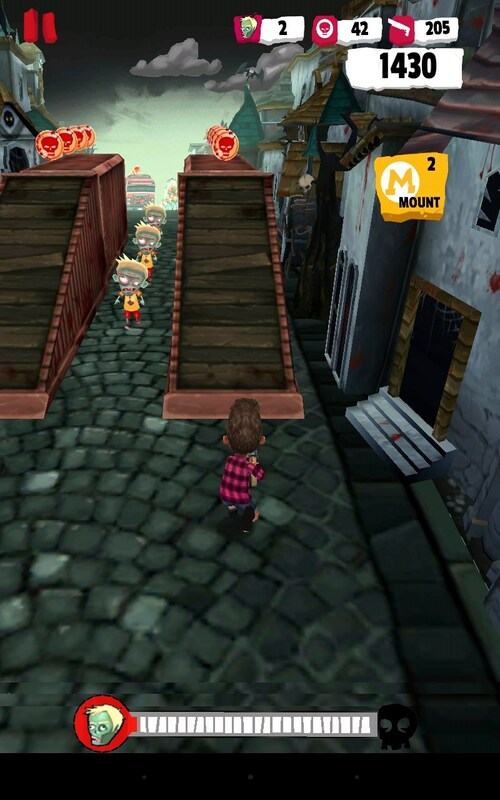 Your hero must break away from nimble zombies who enthusiastically running after him. Maneuver between crowds walking dead, constantly jumping Pal and his weapon. By the design of the game developers came up with the soul, creating interesting and colorful characters. Three-dimensional picture worked well enough, and the only downside to it is some awkwardness. Locations are at least thoughtful design. But the main thing: the game world is constantly changing, opening you all new and new beauty. 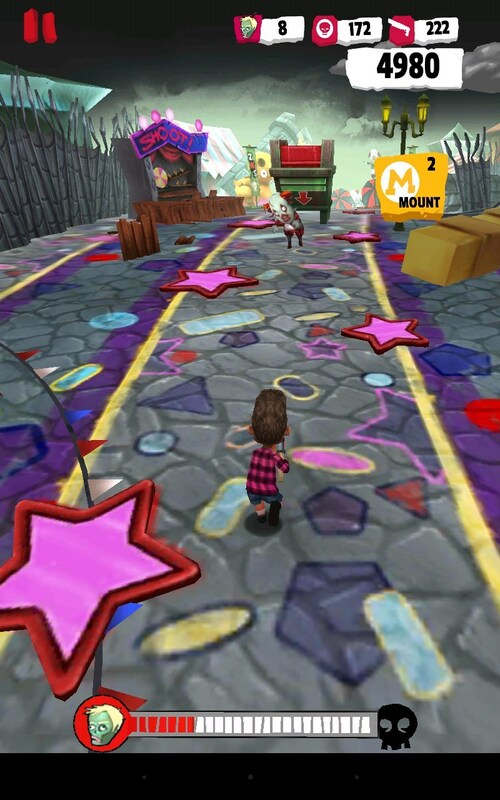 Special attention is given musical accompaniment and sound effects. During the game, you will hear a provocative tune that will encourage you and you will never lose heart. But the salt musical accompaniment is the voice acting hero who constantly swears and speaks about the zombies. Meeting the demands of the genre, the game is built on a simple principle: run until going to hit or you will not get trapped. 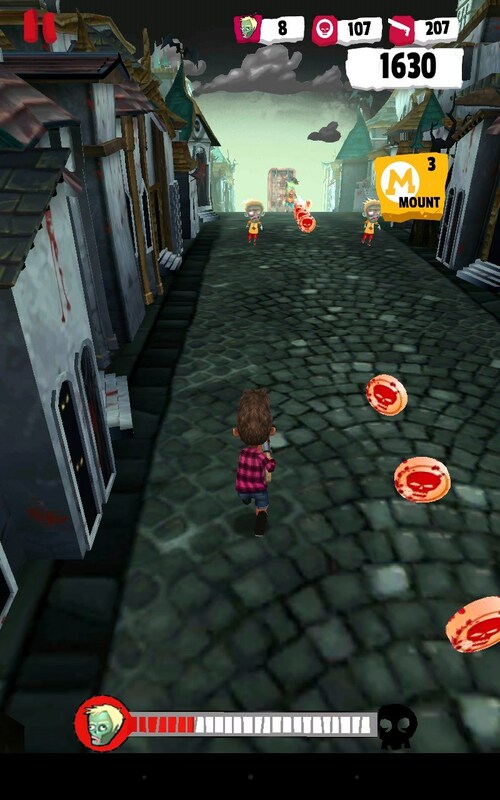 Throughout the game, the hero will always run, and you also need to help him overcome obstacles and dodging hungry zombies. The good news is that the walking dead are very stupid and go strictly right to their own "band", so to avoid meeting with them - quite simple. 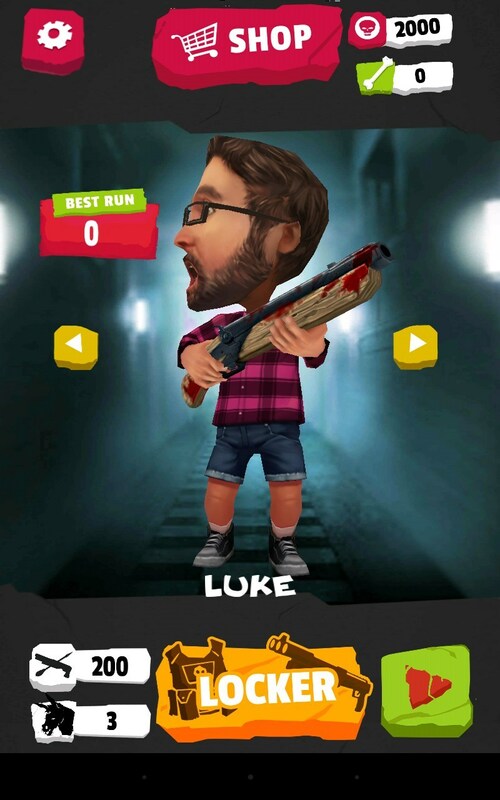 But as you know, the power of zombies in quantity, and when you get the wall of the walking dead, you will have one option - to uncover weapons and shoot without stopping until your path will not be available. Incidentally, of the dead zombies often drop useful bonuses that will help you live a little longer. 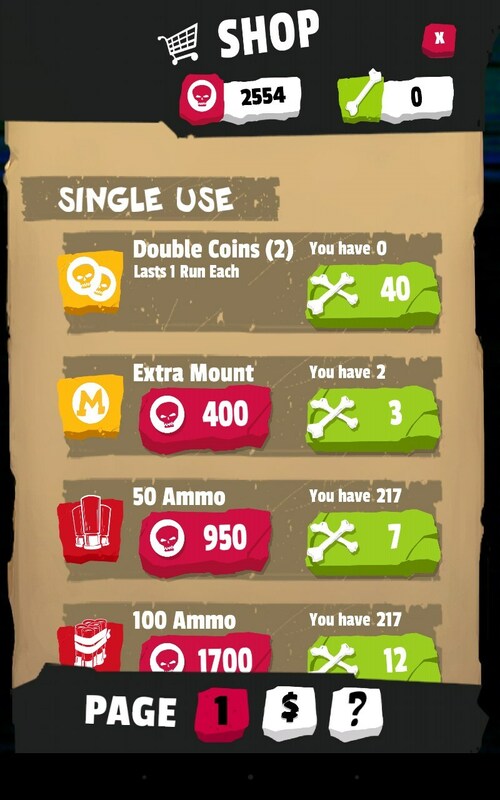 In the course of your exciting race you need to collect the coins that give you the opportunity to buy new weapons, upgrade equipment and improve the rewards. All this will allow you to run further and see the new location. If you want to get everything at once, you have to spend real money, and the amount of the contribution will be very large. Set of weapons and bonuses. 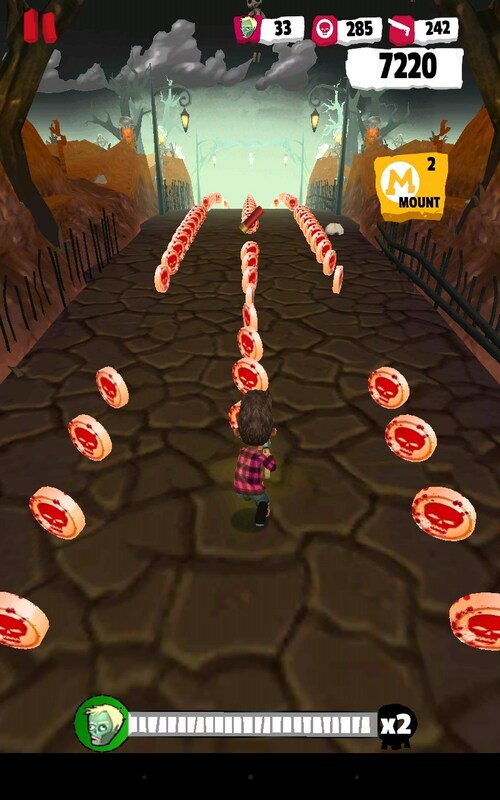 The game is distributed free of charge, but for the pleasure will have to pay advertising presence and Donato. Advertising, oddly enough, there is seldom enough, after about one-fifth of the race, so it is a little annoying you would not. But Donat very tangible. In particular, to get some bonuses and improvements in any case have to spend real money. 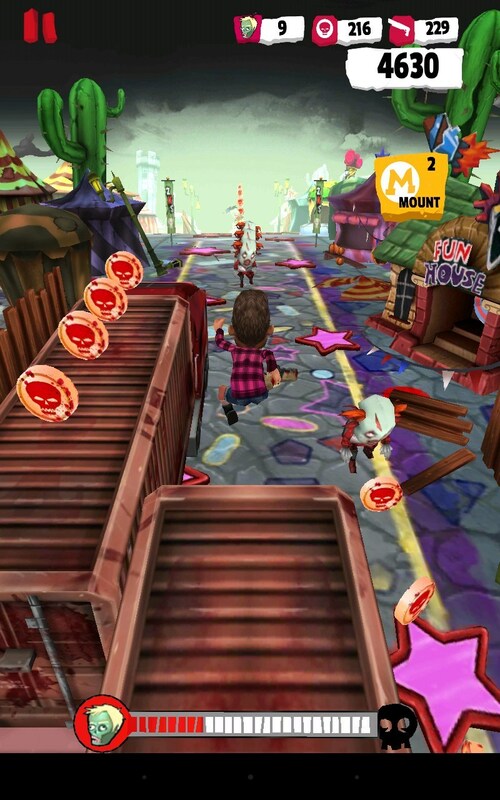 Zombie Killer Squad - is another runner on Android, which will please all fans of the genre. Nice design and additions to the gameplay make the game attractive enough. It may well become your favorite time-killer for a few weeks, after which it was not sorry to be removed.